The new Mizuno MP-15 irons are designed with a classic look to enhance both feel and confidence on all shots. The 1025e steel clubhead is forged using the patented Mizuno grain flow forging process. Mizuno MP15 irons feature a Ti muscle insert that offer full cavity forgiveness in a smaller cavity cluhead. The Mizuno MP-15 irons have a tour proven sole design and compact head for improved control for all players. I purchased a set of Mizuno MP-15 irons from Carl's Golfland after I bought a set of the same irons from Golf Galaxy. I purchased the set from Golf Galaxy because the sales rep did a great job and spent time finding me the right set. After 2 weeks I was in the market for a second set of the same clubs and bought them from Carl's because the price was $699 instead of $1099. They were delivered within 4-5 days and everything was very smooth. I would have bought both sets form them if not for the effort of the rep at the first store because I knew about the price price difference before I purchased. 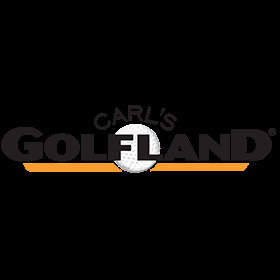 If you know what you want - Carl's Golfland is the way to go! Fantastic customer service, can't wait to hit these! Let's start with this, you need to hit the sweet spot consistently to get the most out of these clubs. I bag the 3-6 iron, and they fly very well. The titanium insert is not welded or glue. That's right it mechanically is locked in. The feel is incredible. Makes the club a lot more forgiving and it is long. Puréed a 6 iron to about 210. It's long. You don't even notice the insert at address. Trust me, people will notice them in the bag and ask about them.